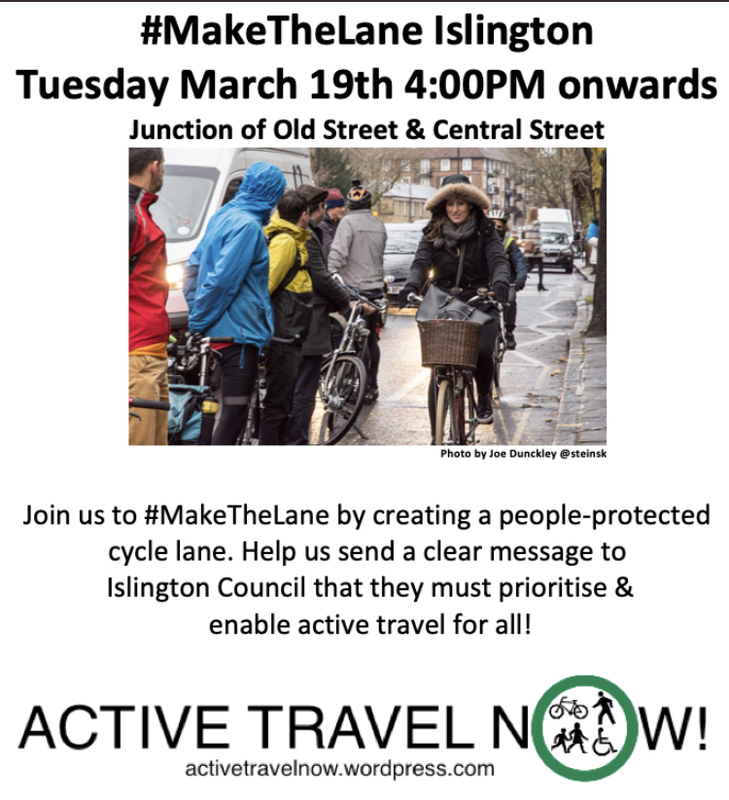 Join Active Travel Now‘s Make The Lane action being held on Tuesday 19th March, 4pm at the junction of Old Street and Central Street to highlight the urgency to make Old Street/ Clerkenwell Rd safe for cycling. This is an extremely busy route, with cyclists vastly outnumbering other vehicles in rush hour, yet we are seeing very serious injuries here on a regular basis and we are likely to see another death or serious injury if there are yet more delays. This road.cc article from 2017 gives some background to what could be achieved. Islington Council are working with TfL on plans to transform this route, but had stated they aimed to consult on plans by the end of 2017. Yet here we are now in 2019 and we still don’t have a firm date for consultation. Dates for your diary !